Is water purifier a luxury or necessity? A glass of water lying on the table can be seen from two perspectives. It could either be a glass of pure drinking water that’ll quench your thirst and give you a sense of deep satisfaction the moment it goes down your throat. Or it could be a glass full of bacteria and viruses that you’re unknowingly drinking. Predicting the ramifications of both situations wouldn't be too difficult. The first one allows you to continue with your life the way it’s going. The second one, however, can cause some trouble. For all you know, a few days on and you might be down with a fever, cold or stomach illness and be advised bed rest for the next few days. And if things get worse then comes in the picture of hospitalization. 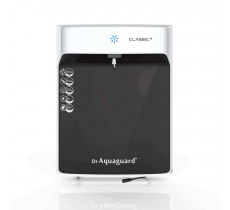 Reverse Osmosis (RO) Water Purifiers: This is for homes where the water contains high TDS levels. Water purifiers with RO technology work, as they remove all the viruses, bacteria and other toxic substances your glass of water doesn't require. 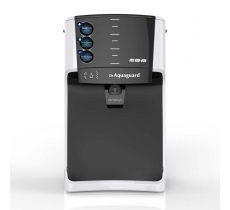 RO water purifiers are the preferred choice because don't just purify the water but also retain the natural minerals water is blessed with Ultraviolet (UV) water purifiers: The idea behind UV water purifiers is clean and clear - to kill all viruses, bacteria and other microorganisms present in the water. Thus making your water healthy and pure. Not to mention, tasty. Ultrafiltration (UF) Water Purifiers: UF water purifiers are as good asthe RO ones. What differentiates them from RO is the fact that you won’t require electricity to run it. UF water purifiers are preferred simply because they use a fine membrane to kill the bacteria and other microbes present in the water. RO+UV Water Purifier:When you bring home an RO+UV Water Purifier, it does wonders as purification of any kind of water is possible.What’s more , the water in your glass in not just pure, but healthy and tasty too! With so many benefits associated with owning a water purifier and an equal number of risks associated with not owning one, how does a water purifier even become a luxury? It certainly is a necessity. If you don't own one, it’s time you did.